Rapid Platforms is an accredited training centre for the International Powered Access Federation (IPAF) which is a non-profit organisation who promote the safe and effective use of powered access worldwide. We offer a variety of working at height training courses for every type of Mobile Elevating Work Platform (MEWP); Operator, Demonstrator and Instructor level IPAF courses on every IPAF category. 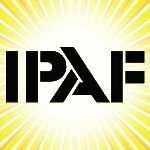 Browse the IPAF Categories in this catagory and get a PAL Card to operate the access equipment you require. Copyrights © Rapid Platforms - Cherry Pickers - Hoists - Access platforms in london and home counties.